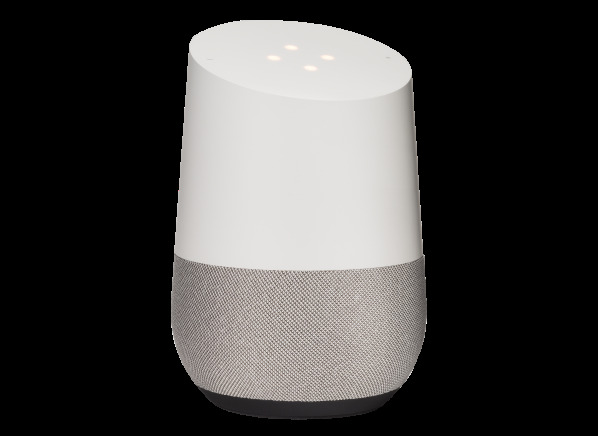 A Google WiFi wireless home speaker system. A WiFi wireless home speaker system from Google. Uses the cloud-based Google Assistant. Smart Home control for: NEST, Philips Hue and SmartThings. Plays content from Google Play Music, YouTube Music (Premium), Spotify(Premium) and Pandora, Chrome Cast and DLNA. Power Cable, Quick Start Guide and Base Cover.